Money to Burn – 4 Surefire Ways to Burnout Your Bookkeeper and the 1 Ridiculously Easy Way to Avoid it! 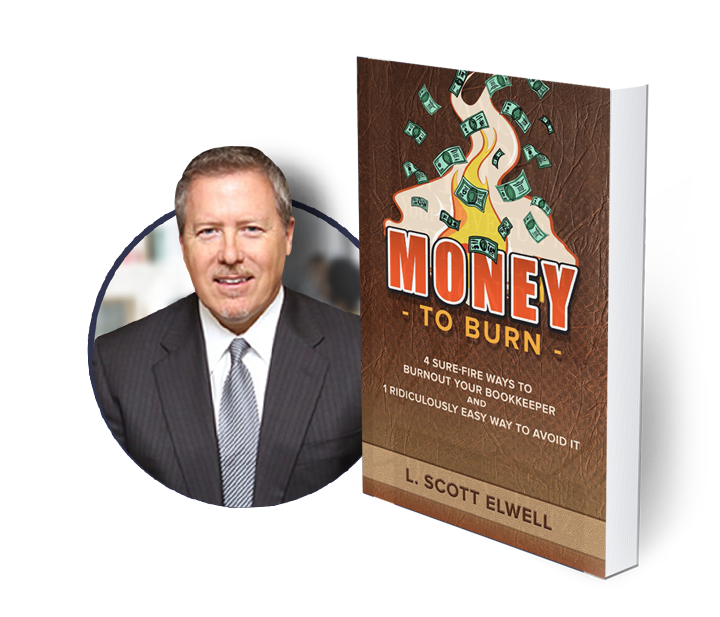 In this short book, L. Scott Elwell will show you just how to extinguish your accounting fires and how the power of All-Inclusive Accounting will change your business forever. Michael Gerber’s The E-Myth Revisited should be required reading for anyone thinking about starting a business or for those who have already taken that fateful step. The title refers to the author’s belief that entrepreneurs–typically brimming with good but distracting ideas–make poor business people. He establishes an incredibly organized and regimented plan, so that daily details are scripted, freeing the entrepreneur’s mind tobuild the long-term success of the business. You don’t need an M.B.A. to understand or follow its directives; Gerber takes time to explain buzzwords and complex theories. Read in a clear and well-paced manner, listening to The-E Myth is like receiving advice from an old friend.